David Bazan: Fighting His Conscience The singer was once known as the first crossover Christian indie-rock musician. His band Pedro the Lion sold hundreds of thousands of records. But then Bazan began questioning the God he grew up with and sang about — and alienated many of his fans in the process. Left to right: Alex Westcoat, Andy Fitts and David Bazan. In a 15-passenger Chevy van equipped with a makeshift bed and pantry, David Bazan's GPS system has him arriving right on time at his show in Omaha. At this point, he's one week into a tour, and he has been driving all day from Colorado Springs. "[Touring] is how I'm able to make ends meet," Bazan says, "because band touring costs so much money to bring a bunch of guys out." Bazan released his solo debut in 2009. Many music critics called Curse Your Branches Bazan's breakup letter to God. "I think that's why it was such a struggle to write the record, because my subconscious maybe knew all along that this is the kind of statement I needed to make," Bazan says. "But my conscious mind was fighting making any statement about religion at all. I would rather be in Spoon than be writing about religion." Bazan grew up in an evangelical church, his father a music pastor. But the questioning of God isn't new for him; it dates back to early Pedro the Lion records. 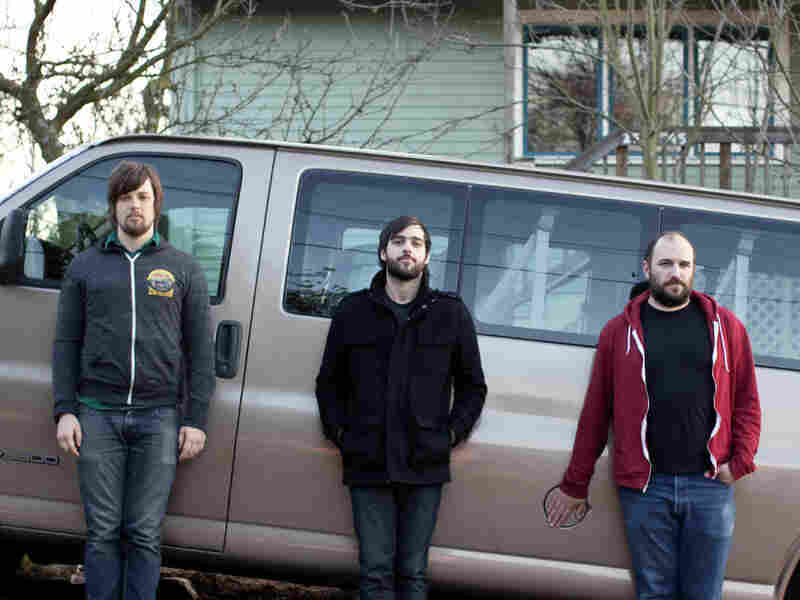 It took Bazan four years after Pedro the Lion broke up to write his first solo record. In that time, it seems he was overwhelmed by his breakup with God. He says he started drinking heavily. "When the band sort of broke up and simultaneously the big questions of faith came up to the surface, and I had to start admitting to myself what the state of my faith was, actually — that drinking habit was there in place, and started serving as a coping mechanism," Bazan says. "I don't know the psychology, and I liked getting as drunk as possible and losing time — trying to get blacked out." Bazan stopped drinking with the help of his wife and kids. And, he says, coming to terms with his spirituality actually makes it easier now to write and tour. Entering the house show with his Martin acoustic guitar, Bazan wades through 40 fans and sets up in front of the fireplace. He opens with a new song. This show is catered to his die-hard fans, so everybody has an opinion. Matt Orand is a practicing Christian who says he doesn't agree with what Bazan is singing. "For me, it's kind of hard to see a lot of stuff I disagree with. But it's interesting to me to hear him be so honest about it and his journey," says Orand, who still buys Bazan's new records in spite of the messages they contain. "I kind of have weird feelings about it, because part of it, I feel like he's kind of preaching against what I believe. But he's doing it from a place of honesty that is really compelling." For her part, Brittney Mertz calls the first time she saw Bazan her first real religious experience. She says that, though his songs are significantly different now, she still feels much the same. "There's just a connection with his music that he has, his voice, and there's a purity to it," Mertz says. "I still find it beautiful today." As he does at every concert, Bazan periodically asks members of the audience if they have questions. One fan asks what to expect from the new record. "I'm still kind of discovering things about it," Bazan says. "But I definitely write about the connection between Christianity and politics with a furrowed brow." The house shows are a prelude to a full-band tour to promote his new record. He says the lag between his last two records was absurd, and that it's time to release an album every 18 months. And Bazan expresses hope that people who buy it will respond to his honesty regardless of what he might believe. "This record is me going with my gut and expressing that bitterness," Bazan says, "but it's expressing all the reasons I want to dismiss the people I'm talking about on the record. In the end, I don't feel right about doing that; that's not the way forward." Whatever that way might be, Bazan says he feels confident in the musician he is now — and his relationship to his fans.